Our air-conditioner and water heater in the bathroom broke down over the weekend. The air-conditioner in the living room started blinking quietly on Friday night and refused to work. We got someone to come look at it and it seems we have to replace an expensive part inside. "It's probably best to just replace the entire unit since your compressor sounds like it might go next," advised our regular air-con man. The water heater was a lot more dramatic. Just as we were leaving our place for church on Sunday morning, I heard dripping sounds from our bathroom. Hot water was dripping (more like pouring actually) fast and furious down from the ceiling through the lights! It took us by surprise and we spent some time figuring out how to turn off our water supply completely to stop the water. And then we managed to switch off the water supply in the bathroom. Then it was a few hours before the repairman came to hoist down the entire heater unit from inside the false ceiling. After all that, it was good that I was on leave today so I could have a quiet Monday morning at home today. A slice of banana cake and ice-cold milk is best on a morning like this. Must have been so hectic! Good to hear that it's fixed! You are right about things happening at the same time! Sigh..
Hi MPM, not completely fixed yet but at least... No more water coming down from the ceiling! I hope you and everyone is doing fine. Still enjoy food huh? Oh banana cake, my favourite! Oh my! I wouldn't have liked my day at all!! Hi Milka! It's good to hear from you. 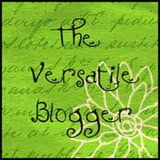 Will most definitely drop by your blog! Petunia - hehe. You are right. I hate to do such stuff. Thank God for my mum who is really good at all these.